The Keyes Company and KeyesCares delivered school supplies from our Miami office drive to CARE School students. The first day of school brings excitement and enthusiasm for opportunities ahead, but for some, those emotions are tempered by the uncertainty of not having the materials needed to take full advantage. Many students at CARE School know this feeling. KeyesCares' mission is "to support the communities in which we work and live by strengthening the essential components of the infrastructure that contribute to quality of life - Education, Children, Healthcare, and Community." While each are important in their own right, being able to partner with organizations that promote the welfare of more than one of those pillars allows us to better make a lasting impact on our communities. CARE School provides a nurturing learning environment to children primarily from the Overtown community in Miami. 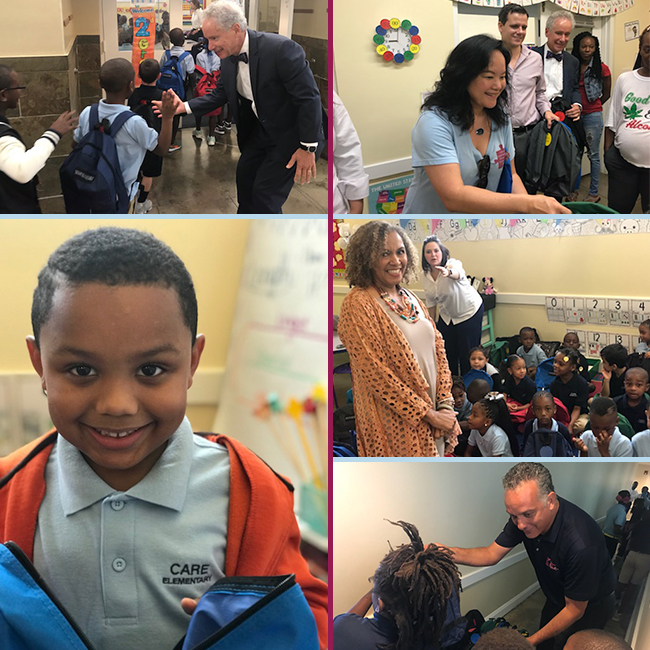 Several Keyes Associates and corporate employees are actively involved in ongoing support of the school and this summer championed a drive throughout Keyes' Miami-Dade offices to gather much needed supplies for the students at CARE School. At the completion of the drive, Keyes Owner & Vice President Tim Pappas, along with his son Jason from the Sunset office, Frank DeValdivielso from Coral Gables, Rene Beal from Commercial Miami, and Linda Chin from Palmetto Bay (all pictured above), delivered the supplies to CARE on the first day of the new school year. President of the CARE Board, Marty Steinberger commented, "The generosity of Keyes Realtors in providing school supplies again this year means so much to families at CARE. For each student in the school to be able to start the year with necessary items is deeply appreciated by the parents, students, and teachers...The smiling faces of the children as they received [their] bags spoke volumes." Thank you to each of the Keyes family who donated their time & supplies to help make this drive such an incredible success!